Server solutions with Microsoft Windows or Linux. Servers with generic install or customised to your needs. Network attached storage systems (NAS) installation and set-up. We specialise in QNAP NAS. Desktop and notebook computers complete with operating system and software. Customise computers and transfer files and settings from your old computer to the new one. We support all current versions of Windows including Server 2008, 2008r2, 2012, Windows Vista, 7, 8 and 8.1. We support all current versions of Mac OS X. We support Linux including Ubuntu, Debian, CentOS and Fedora. Installation and configuration of printers and multifunction devices (MFD’s) on your premises. Set-up advanced functions on multifunction devices like scan-to e-mail, scan-to FTP, scan-to SMB as well as user account tracking. Supply and installation of network switches including Power over Ethernet (PoE). Supply and configuration of wired and wireless routers. Do you have an old computer or server you like to dispose? Don’ t forget to erase all data from your hard drive! Simply erasing data and formatting the drive it is not enough. Anybody that rescues your hard drive could use data recovery tools and recover personal data, like credit card numbers from your disposed hard drive. 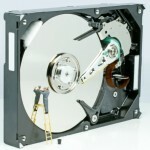 WE have tools available that will erase all data on your hard drive completely. For any enquiries please contact us and we can discuss your needs.